Flour is used as an ingredient in many foods. It is a powder made from various grains. Because it is a basic ingredient used in baking, workers in the baking industry are constantly exposed to it. Floating flour particles can cause what is also known as baker’s asthma as it gets inhaled and irritates the respiratory tract. The risk of being exposed to flour dust is much higher in larger businesses such as commercial bakeries, grinding mills or packaging plants. 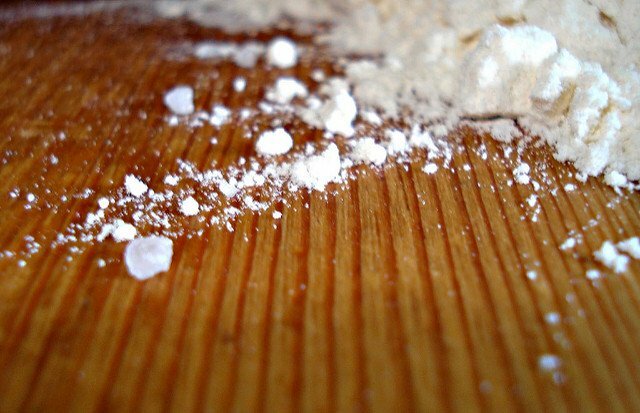 The presence of flour dust can cause inhalation or combustion and explosion. The hazards of being exposed to flour dust depend on the concentration and duration of exposure. Exposure at low measures and frequency might not cause symptoms to show for up to 30 years. It’s also important to note that artificial additives to flour may cause more irritation for the respiratory tract. Because flour is so finely ground, enough concentration of its dust in an enclosed area can cause a large explosion even with just a simple spark. The most effective control is to fully eliminate the source of hazard by substituting a safer method or ingredient. Is it possible to use a different method that creates less flour dust? Physical alterations to the facility, machinery, or processes can lessen exposure to flour dust. Is it possible to set up an extraction system? Can you start to use a HEPA vacuum filter for cleaning? Administrative controls include changes to rules and regulations, providing awareness materials, and training. Are warning signs posted in work areas? Are workers well aware of procedures to minimize the spread of dust? Are work areas properly cleaned and maintained? Another control must be used together with PPE because it is the least efficient among all controls. Are workers using PPE when cleaning up and doing dusty tasks? Are PPE checked regularly to ensure they are properly working? For more information on safety measures you can put in place at your workplace, contact us below! https://wssolutions.ca/wp-content/uploads/2015/11/WSS-logo-h-rgb-01.png 0 0 Deborah Kriger https://wssolutions.ca/wp-content/uploads/2015/11/WSS-logo-h-rgb-01.png Deborah Kriger2017-03-16 01:26:302017-05-17 18:12:44Can Flour Dust Be Dangerous?